Robert L. Wolke is a professor emeritus of chemistry at the University of Pittsburgh. 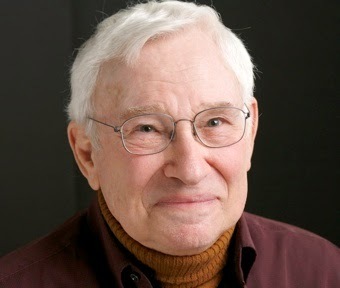 From 1998 to 2007, Wolke wrote the food science column “FOOD 101″ for The Washington Post. His journalism awards include the James Beard Foundation award for best newspaper column, the IACP’s Bert Greene Award for best newspaper food writing, and the American Chemical Society’s 2005 Grady-Stack Award for interpreting chemistry to the public. He lives in Pittsburgh with his wife and co-author Marlene Parrish. His latest book is What Einstein Kept Under his Hat. All told, as a student, professor and administrator I have spent more than 40 years of my life in colleges and universities. In every institution all human scholarship, like Caesar’s Gaul, was divided into three parts: sciences, humanities and social sciences. Putting aside the perennial squabble among academics of whether economics, history, political science or sociology are true “sciences,” we are left with two categories: science and humanities. But I firmly believe and would argue anywhere that science is a humanity. It is the most highly developed and most demanding intellectual pursuit that human beings engage in. Scientific investigation—seeking to learn how the universe works—is perhaps the most fundamental difference between humans and animals. We question Nature and seek understanding of it. Animals don’t. Science is a uniquely human enterprise: a prototypical humanity. I have written four popular science books in my “Einstein” series: “What Einstein Didn’t Know,” “What Einstein Told His Barber,” What Einstein Told His Cook,” and “What Einstein Kept Under His Hat.” Whether there will be a fifth or not is yet to be decided. But I am currently explaining science on The Huffington Post and in lectures, newspapers and magazines. What’s next? Que será será. Resurrecting my college chemistry textbook for non-science majors, Prentice-Hall’s “Chemistry Explained,” which is out of print but about which I continue to receive inquiries.